Don't Miss Out! Secure Your Spot Today! 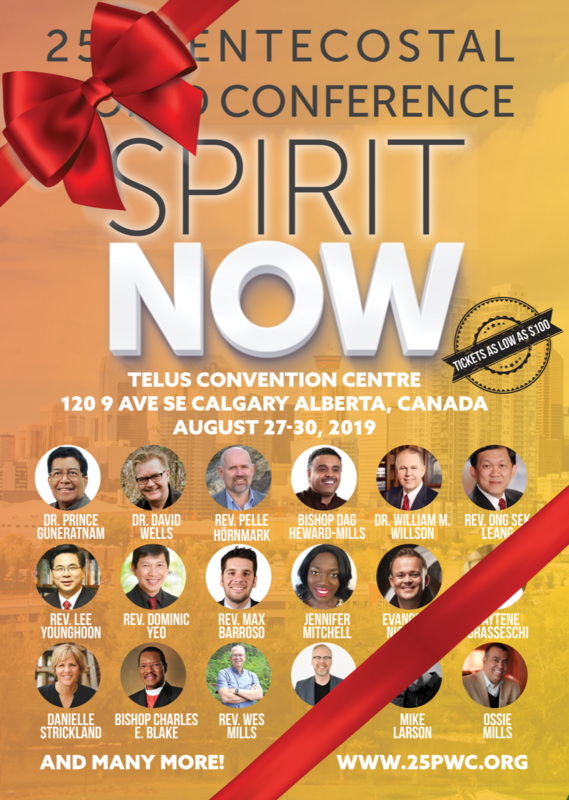 The 25th Pentecostal World Conference is ONLY 8 1/2 Months away! Secure your spot today before the Early Bird ends on January 31! Tickets right now are only $169 Canadian. For full details on the conference and to register you can go to http://www.25pwc.org. Make sure you click conference details to find updated information on our five conference hotels. We have secured the best rates possible. Also something very exciting for us is to offer the main sessions in 8 different Languages: English, French, Spanish, Hindi, German, Japanese, Korean and in Sign Language. Why not consider getting a ticket for those special people who you know would love to experience this historical event. Give the gift that will change a life.